A clear skin is everyone’s dream. you want to have a flawless skin that is glowing, free from pimples and acne which keeps popping every now and then. Well, that remains a dream because we have many things that affect the possibility of that dream becoming to a reality. You try to apply many things on your skin to glow, with so many information on the internet, you hope that one of the remedies will make a difference in how you look. Sometimes it works and at times it makes you worse, leaving you frustrated and depressed with how you look. Things don’t have to be that frustrating. If you knew what causes the pimples and the acne. You can know how to control or avoid them right? If you want to know more about how you are going to take care of your skin, read along as we dig in more about achieving your dream. 5 STEPS TO CLEAR SKIN FOREVER! You will agree with me that your skin shows a lot when you start aging. It doesn’t mean that aging is bad in fact it is a natural process and we should embrace it but sometimes, it happens prematurely. You may find your skin aging and stretch, and you are still young, and you wonder why. Premature age can occur to anyone man or woman do to things we do or hat we expose our skin too. Some of the things that make your skin age fast include smoking, alcohol consuming and even using certain cosmetic products that are not meant for your skin. Many of us are struggling with this condition. We find ourselves with blackheads all over our bodies. They are due to clogging of the skin or the follicles making the natural oil to lack a way of coming out. This leads your skin to be dry and cloggy all the time. Many mistakes people do to contribute to increasing of blackheads is popping of pimples. It is a bad habit that unfortunately still exist among us. when you pop a pimple, you end up with a black head spot that is even more hard to get rid of in the first place. It is a common condition that is all over people. Do you have white or blackheads that are all over your face, neck, shoulders, chest and on the back? You must be having acne. They can be painful or not painful and usually leads to big pimples or big painful nodules. They are blisters that appear around the mouth area especially when you have a cold or when you are about to have a cold. They are fluid like blisters that cause a burning sensation and can lead to swelling of the lymph nodes. Once the cold is over, they gradually disappear. They are clear watery fluid like a patch of the skin which appear when you have friction, or your skin is under tension. Mostly appear on the thighs and on the hands when you work with a tool for a long time. When popped, it oozes water and leads to a sore skin which is painful. If you are allergic to something, am sure that happens to you every time you encounter your allergen. They are itchy, red and mildly painful to the touch. How do they look like? Hives are small round and ring like pimples on your skin that fades off when you get away from your allergen. Some conditions are medical based or because of exposure. Ike this one it is because of exposure to the sun. they are thick crusty and scaly skin appearance that appears to parts that get exposed to the sun more often. Often characterized by pink, brown or tan-gray lesions. It is a medical condition that keeps on reoccurring once you have it. some of the things that make it reoccur include spicy foods, alcohol, smoking, the sun, stress or bacteria infection. Common symptoms when you have this condition include facial flushing, red bump, redness, dryness, and sensitivity. There are many agents that can cause your skin to change and have spots and blemishes. The skin is the biggest organ of the body and with that, it is exposed to many things that can cause it to change. They might be natural in natural environments. You are what you eat, it is a saying that is true and when put to the test, it is very practical. What you eat contributes to how your body functions and its response. Not all foods that we consume are good for your skin. Some causes clogging, dryness and other conditions that are unwanted. For your skin to be healthy, you need to eat a balanced diet. That means you consume all foods in the right quantities. Eat a lot of foods and vegetables as that makes your skin to glow due to the vitamins in them. Be keen on what you eat, and you will see a change. It is a factor that we expose our skin too and we are not keen to look at it. you need to be your skin at least twice a day. Cleaning means that you rub your skin gently with a soft cloth to remove clogs and makeup that you might have over your skin. Wash your skin in the morning and in the evening to remove makeup and dirt that might contain microbes that are harmful. Use a mild skin product like your soap to make sure it is not harsh on your skin. Avoid condition that may expose your skin to too many dirt during the day. Growing up happens in phases. Each phase has it own changes that we experience in our bodies. When one riches puberty, there is a lot of changes in the hormonal growth. That makes the body hypersensitive to other hormones growing or due to other external factors making you have skin problems. If you are a lady, I know you understand this. When we are I this time of the month, our body tends to be sensitive and with a lot of released hormones. This shows in the way our skin appears. You might have rashes or have pimples that are visible on the forehead during the whole period. Just like menstruation, pregnancy comes with a lot of hormonal changes. The changes overwhelm the body to the level that your skin will show. It might be reactions to certain foods or just the fact that the body has a lot of new hormones developing. Sometimes, we have no much say on the way our skin looks like. This is because some conditions are straight from our parents. The conditions are rare, but when they happen we may not have much choice than to accept and try to minimize the condition. As mentioned earlier, in some cases, it might be caused by a medical condition that you have. It might be an allergy or a certain disease that you have been having for a while. When this happens, it is good to consult a doctor to curb the condition and to avoid it from spreading. Stress is being in a healthy state of mind. When you are stressed, your body is unable to function well and even your skin shows. There are premature aging and wrinkling of your skin making it dull and rough. It also releases hormones that are not good for your skin hence the acne. Stress also makes you not sleep well, your sleep pattern is interrupted. If you don’t sleep well, your body does not have time to metabolize and function the way it is supposed to. Ideally, you are supposed to sleep6-8 hours in a day, that is why it is called beauty sleep, it has an impact on your skin. This is both unhealthy habits that we adapt and have an impact in ho our skin looks like. When you take alcohol, it leads to dehydration and hen there is no water in our body, the skin becomes dry and wrinkles. Smoking also has an effect due to the toxic substance in the cigarette. We all like to look for ways we can look more attractive and appealing always. To do this, you look for cremes and other skin care products that can improve your skin looks. That can influence your skin since you don’t have enough information on what suits your skin. There is some medicine that once taken influence your skin though rare, it might happen when the side effect of the drug involves dryness of the skin, rashes and other skin condition. The good thing about this is once you are done with the medication, the rashes fade away. 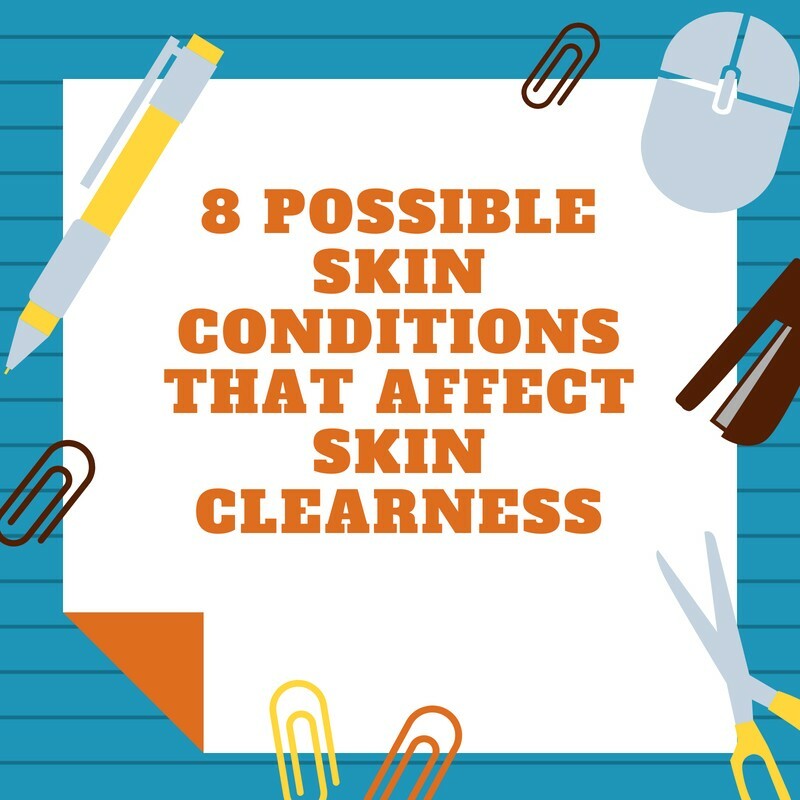 Now that you know the skin conditions that can affect your skin and what causes them, it is time we look at how you can start working on getting that clear skin. It doesn’t have to be a dream, you can try your best to achieve that goal. Taking care of your skin needs dedication and time. You need to take time every day to do a daily routine that will help you achieve your longtime goal of a flawless skin. 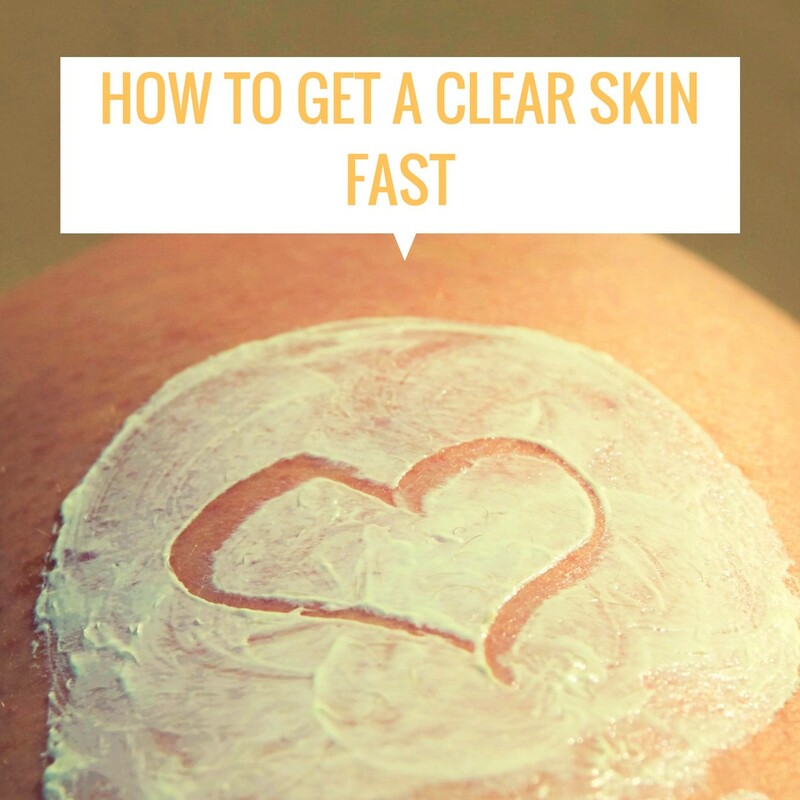 You need to have ways to have a clear skin when you have an emergency, and still have some for a longtime journey towards a clear skin. Tomorrow is your day, it is your day to shine and stand out, how do you do that? You have a date with your crush, you have a crucial interview, or you have a girl’s night out and your wat to glow and burst with beauty all day long, what do you do? What clogs our kin most is oil and dirt that we gather during the day. Do you have a busy day every day? Always being exposed to dirt and microbes that are harmful to our skim=n. when you come home, it is time to wash all that dirt for your face to breath and be fresh. Are you guilty of sleeping with makeup on? You may want to think again before you do that again. That is because make up log your pores and make your face heavy with no breathing pores hence blemishes may occur. Make sure you wash your face gently to remove all that before you sleep. There are so many ways in which you can come up with a great facial mask. You can buy one and keep it at your home for use or you can make one at home. using things like yogurt, oatmeal, and other recommended home remedies will help you come up with a great face mask. Rashes can be stubborn to get rid of, but what is more difficult to deal with is that pimple on your forehead. It is visible you’re afraid that it might end up ruining your day, well, don’t worry. Applying a mixture of Sulphur and salicylic acid can cure that. Take the mixture and apply on the pimple that you want to get rid of. Don’t poke a pimple. That is a nasty habit that can bring you more harm than good. When you poke a pimple, you end up spreading the bacteria all over your face and can lead to spreading of the pimples. It becomes a therapy secession for you too. There is nothing as relaxing as steaming your face especially if you had a rough day. It is like you are entering a sauna. It involves covering your head with a blanket over a bowl full of boiled water. Steaming not only do you open clogged pores, but you end up with a clear functioning face with no blemish and dirt. It will be a plus for you if you had the flu because the flu is also treated in the process. You end up with a clear skin, no clogs, relaxed and with no flu. Everyone is advised to hydrate the skin. It is not for people who have dry skin alone. When you leave your skin dry, it is forced to produce oil to hydrate the skin which will lead to clogs on the pores. Use a moisturizer to make sure your skin is well taken care of to avoid breaks. Do you have honey or Aloe Vera in your house? Quickly apply a layer of one of the item and have it on overnight. The good thing about the items is that they are natural, and you are gut anteed no side effects come next morning. Am sure you don’t want surprises in the morning, right? We all need this. Tomorrow is your day, you need to wake up early to get ready and to have fun, you need to give your body enough time to rest and exfoliate. You don’t want to wake up and find yourself with saggy and dull eyes. Avoid activities that will make you stay up late at night. That includes a drinking spree, a series you have been following in your favorite channel or a late-night date. Make sure you prepare well for the day by getting home early, taking your dinner and after applying your mask. Close your eyes early and sleep. We all know what exercising is paramount. It keeps us fit, on the shape and on the right weight. It also helps us tighten the skin and avoid wrinkles on your face, hands, neck and even other parts of the body skin. You should start up a working out routine and stick to it. Go to the gym and have an instructor guide you. you can also do it yourself. Online working out routines is available for an everyday work out. When you sweat, your pores open and remove clogs. Make use of the sauna for a whole-body steam and say hello to a clear skin. You need to stick to the saying “you are what you eat” it will get you along the way with it. use the pyramid way of eating and make fruits and vegetables your everyday routine. They are full of vitamins especially those with vitamin C for a healthier skin. Avoid foods that irritate your body. Some may irritate your bowel but there are some that will show on your skin. If you have an allergy to a certain food, it will surely show on your skin and that won’t be good for you. keeps food like strawberries, yogurt, oranges and many others your friend. Hydrating your body is key when it comes to your skin. Water helps keep your body going through hydrating the metabolism. When you drink a lot of water, you will facilitate the process of sweating which is good for your skin. Drink a lot of water as possible. You can never have enough of it. When you are working out, you should have a bottle of water with you to make the hydrating process a continuous one. Make sure you take water throughout the day and have enough for the day. By doing his, tour working yourself to a glowing skin since there is a close relationship between water and your skin. Do you know your skin type? Many people don’t know their skin time, and this is contributing to the mistakes they make. You need to know your skin type to know what product to use for your skin. Not knowing your skin type leads to making mistakes that have consequences on your skin. To know your skin, you need to wash your skin. Let it dry and after five minutes, using a dry wipe, wipe around the T area and see what on your wipe. If there is nothing on it, you have a normal skin, if it is oily, then you have an oily skin and if there are flakes of skin, know that you have a dry skin. Now that you know your skin type, it is time to go shopping. Go to a recommended cosmetic shop and invest in the right cleanser, toner, moisturizer and facial scrub for your skin. You need to consult an expert to guide you on the right products to have for your face. Like you read earlier, the sun can be a cause of the skin to break and have lesions, that is because of the UV light which damages the skin. When you are buying your products, you need to remember to have a good sunscreen for your skin, fortunately, nowadays moisturizers have sunscreen in them. Wash your face twice in a day. This helps n unclogging your face and opening the pores. In the morning, you need to ash it to get rid of your facemask if you slept with it or remove any foreign thing that might have been stuck on your face. After the end of your day, you need to wash your face too. That is because you need to remove the makeup that you had on and remove all the dirt and bacteria that you might have come across during the day. Use the right soap and wash gently to avoid any damage to the skin. Beauty sleep is something you can’t compromise if you need a clear skin. 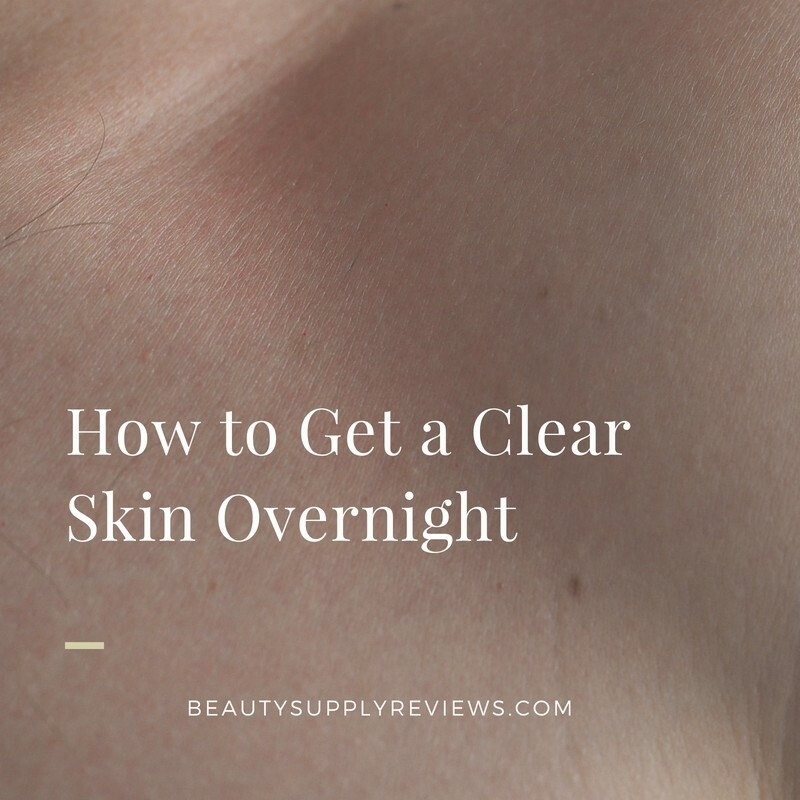 You need to make sure you have enough time to sleep and let your body exfoliate during the night. Just like your boy needs rest, your skin like any other organ needs to rest to make the circulation of blood to flow freely. Avoid anything that will make you sleep late. No gadgets in the bedroom, please. Yes, some of us must have a phone or a remote hen going to sleep, and this interrupts our sleeping pattern. To soothe yourself to sleep, use a book instead and go to bed early. Have your beauty sleep for a beautiful you. The habits include cigarette smoking, alcohol consuming, staying out late and indulging yourself with unhealthy foods. They are lifestyle habits that have a lot to do with how our skin will look like tomorrow or days to come. If it is not good, you need to let it go. When you observe the above routine, you will be set for a journey of a wow skin. A skin that will be free of blemishes and acne. 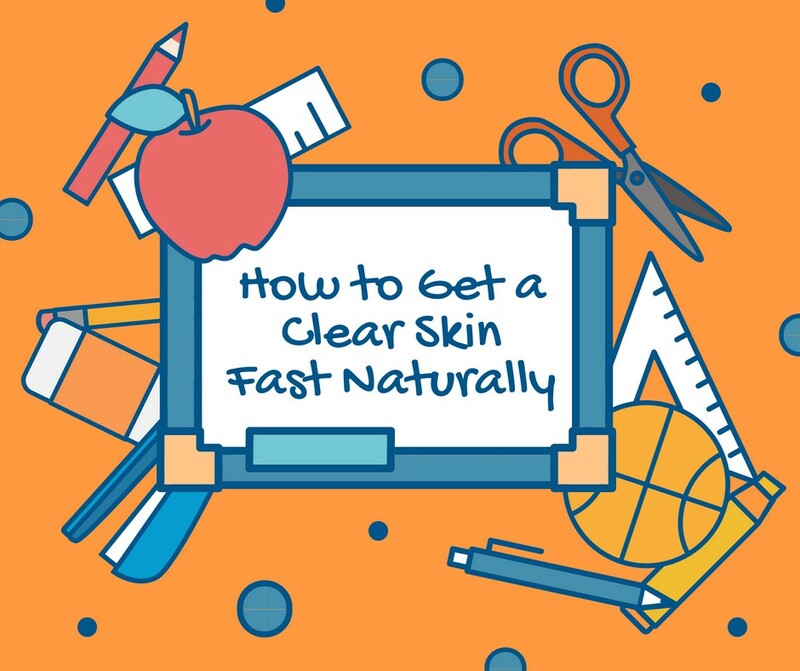 You will be closer to the reality of having a clear skin. You don’t have to do what others are doing, you just must do what is right for your skin. We live in a world where there is so much information to choose from, thanks to the internet. Hen you do a simple search, you will get so much to read. Unfortunately, o much of what we read is a way of duping people into using products that they are marketing. It is hard to know what is right for your skin and what is not. What is true is that you can never go wrong with natural products. This is naturally occurring, and no processing has taken place, of because this must be good right? What is even better is that the natural items are affordable, you can find them in the nearby store or they are in your house, you just don’t know that they can aid you in having that beautiful and clear skin. The following are some of the items you can use to have the glowing look you are yearning for. Never underestimate the power of a lemon. It is a citric fruit that e uses it for its juice and its fresh too. A lemon is used in our houses almost every day in cooking, baking and for those losing weight, it is used in drinking water to boost metabolism. What people don’t know is that a lemon can help you have a wow look. It has citric acid that helps in removing the dead cells living you with a young beautiful one. The vitamin C by increasingly renewing the skin with new skin. Use lemon juice to make your skin smooth skin by spreading it on its own or by using it with honey to exfoliate your skin living it glowing and radiant. Next time you go shopping, make sure you have more of those lemons in your basket, now you know what more you can do with the lemon. It is a natural sugar made by the bee. We use it in the kitchen to as a source of sugar substituting the artificial sugar. You can also use the honey to make your skin more vibrant and looking good. This is because the honey is a natural moisturizer than when you apply, it hydrates your skin. It also has an anti-bacterial property that once you apply the honey, it gets rid of all the bacteria’s in the skin making your skin healthy and ready to glow. What is more encouraging is that it is redly available to use in our house. To use the honey, you need to apply it directly to the skin when it is raw. you need to let it dry and then rinse it with warm water. You can also use it with milk for a deeper moisturizer and as a result, you will have the skin you have always wished for. It is a plant that is widely used for its anti-bacterial properties. You will find it indicated to have been included in most of the cosmetic products found around. The good way is to have it raw from your garden and extract the gel to spread it all over your body. The Aloe Vera soothes irritated skin. If you have a skin that had been previously inflamed, using Aloe Vera will be a great way to make the skin calm down. It moisturizes the skin leaving it youthful and stimulate skin cell growth. It is a product that is all over our kitchen shelves. You use it for backing and another minor kitchen washing. You can also use the baking soda to make your skin more youthful, beautiful and more radiant, I know you’re wondering how, well this is how. Use baking soda to make a paste that you will apply on your kin. The paste can be made using lemon water or raw honey and you should apply and leave it to dry. Wash with warm water and be ready for a more good looking beautiful beauty who is ready to face the world with no blemishes. You have read all over ho a cucumber is beneficial for your health. 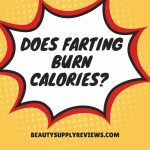 It is low in calories so when you consume it, you are sure you are still on the right track of your daily calories. Use the cucumber to radiate your skin by rubbing your skin with the cucumber for a while before bathing. Cucumbers hydrate, nourish and strengthen your skin which in turn improve overall appearance of your skin. It repairs your skin by removing dead skin and facilitate the growth of new skin. All you need to do is rub it on your face and leave it overnight or you can use its juice with lemon for a more brilliant look. It is one natural oil that you want to have in your house for a long time. It is a natural anti-oxidant that when applied to your skin, it radiates the skin making it glow and shine across the room. Take the oil, warm it and apply it all over your body and leave it overnight or you can wash it off. Modern women are fascinated with light skin, the consider light skin beautiful and more appealing. When it comes to beauty, until recently, it was associated with light skin. That leaves many women looking for unscrupulous ways of wanting to be light skinned. There medical conditions that might leave you with spots and uneven skin tone and you always wish you had something that can make that skin even and light. There comes the potato. It is a start filled food that we mostly use in the kitchen to make a various meal. It is considered starchy and has a naturally occurring enzyme which has a bleaching effect. Good for you right? You now have a way of bleaching yourself naturally without using harmful products that have severe side effects. Now you know, make use of it for a clear even skin. Yes, water is vital for your skin, you cannot separate your skin from water and expect to have a flawless skin. For your skin to glow and hydrate, you need water. Taking a lot of water makes you feel energized and your skin in the right state. Take 6-8 glasses of water as recommended for your skin. You don’t have to give up on the effort to have a clear skin. Yes, you have pimples, acne, blemishes, but that does not make you lose hope on what is near the clear and beautiful skin. You don’t have to be a model or be in the cover of magazines to do that, you only need a simple routine for that. You need to love yourself enough to be able to know your skin. What is your skin type? What is affecting my skin and what measures can you take to revive your skin from the blemishes and the dullness that it has right now. Make the right choices and start the routine to see the change.